Saturday 13th May (10 - 1.30) Great British Tennis weekend ​- Free tennis, free prizes, reduced membership and great fun. A chance for all of the family to get to try out the game and the club. You won't be disappointed by either. Go to https://clubspark.lta.org.uk/opendays and sign up for some free fun or you can just turn up on the day. 3 Lawn Tennis Association 'Tennis For Kids' courses - These are 6 week courses for 5-8 year old's who've never or hardly played before. The course is free and there is a free racket for each of the 10 lucky children on each course. The club will also be offering follow on deals which will include reduced membership and reduced follow on coaching fees. Go to https://clubspark.lta.org.uk/tennisforkids for more information and sign up fast as places won't last!! Tennis Express (Lawn Tennis Association initiative) - This is aimed at beginner adults and is a programme which aims to get you playing the game quickly in a fun and friendly way. It's a great way to get fit and enjoy the game in a friendly atmosphere. Tennis Tuesdays (Lawn Tennis Association initiative) - This is designed for women getting back into the game or giving it a try for the first time. There are 6 fun sessions lasting 1 hour each in which you'll learn a few skills, get yourself moving and most importantly have some fun whilst making friends. Go to https://clubspark.lta.org.uk/TennisTuesdays for more information and why not give it a go at our friendly club. 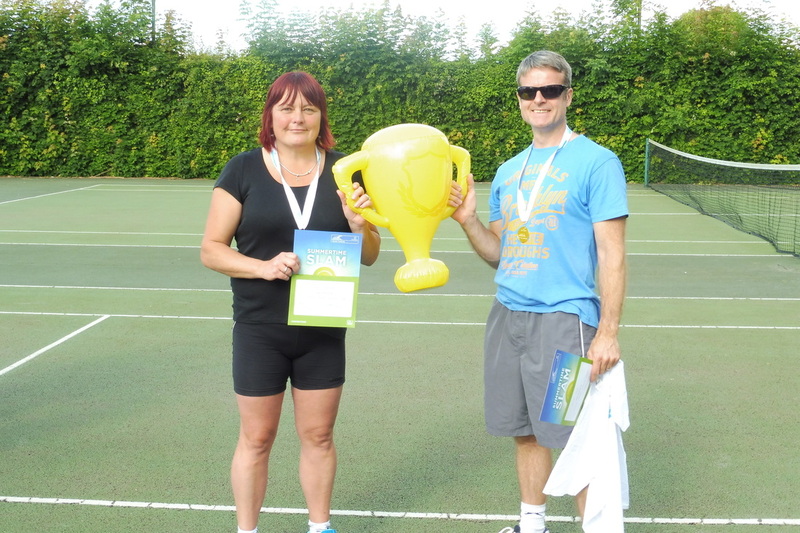 This was an extremely popular event last year and the winners had a free day out at a Lawn Tennis Association grass court tournament. A family adult (18 years and over) plays with a junior relative who must be 10 years or under. Great fun so sign up at the club or contact Adrian. Benenden/LTA competition - The Grass court summer Slam will be the 3rd of 4 Benenden events this year and should get you in the mood for Wimbledon! More details to follow nearer the time. 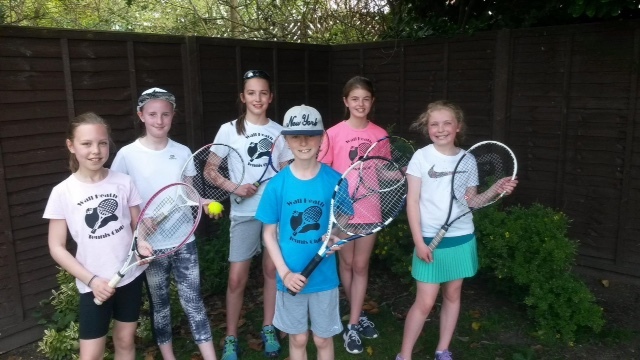 Wall Heath Tennis Club Junior Tournament - Wall Heath TC invites juniors from local clubs to participate in a fun doubles tournament where players can test their skills against different players. Club Tournaments - Keep an eye on notices in the clubhouse and updates on the website. Summer Holiday Camps - Fun sessions during the day for 5-14 year olds. Our annual quiz will be held on Friday 3rd February 2017 at Himley Cricket Club, 7.30 pm. Tickets are available at £2.50 per person, all members, friends and family are welcome to join us. There will be raffle prizes and you are welcome to bring your own food. All proceeds will go towards resurfacing of the tennis courts. 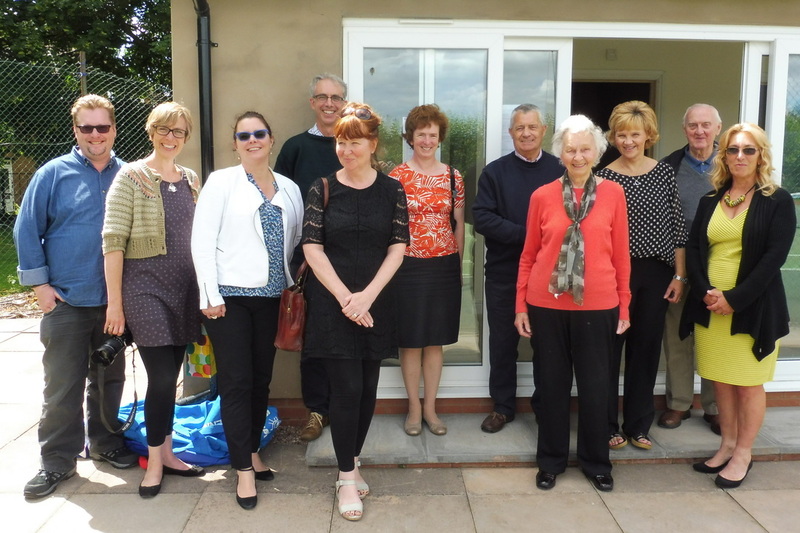 The Grand Opening of the new clubhouse was very successful and a lovely day was had by all. Thanks to all who supported the occasion and for the marvellous contribution of the delicious cakes! Thanks also to Adrian who organised the fun tournament in the afternoon, all entrance monies from the tournament will be put towards the fundraising for new courts which will be the next big venture! ​We were delighted that the Stourbridge News attended the event, to see more click here More photo's from the day can be found on our past and present page. 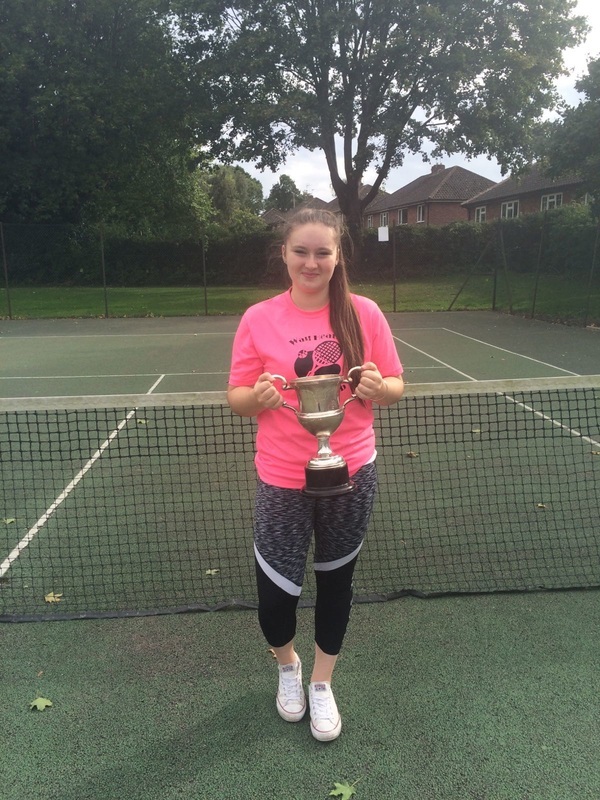 The tennis club would like to congratulate Lisa Colling, she has become the Staffordshire Under 18 and Ladies County Champion 2016. ​Lisa is one of our home grown stars and we are extremely proud of her achievements. 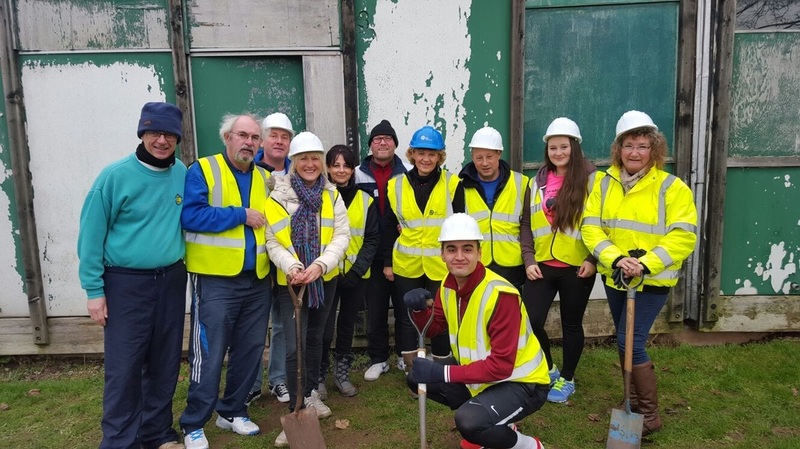 The tennis club recently had a visit from representatives of Ibstock Cory and Cory Environmental, who along with Dudley MBC, Helping Hands, Geoff Hill Electrical and many others helped the club achieve their dream of building a new club house. More details of the grand opening on 24th September 2016 will follow shortly. On Sunday 3rd July the tennis club took part in the Benenden Tennis Festival. The weather was kind to us and it was a lovely afternoon of tennis, a big thank you to all those who took part. Congratulations to Tracey and Nick who were winners of the tournament. Many thanks to Adrian for organising the tournament, Nick for organising the food contributions and Brian who acted as club photographer. If enough interest is shown I shall continue these through the Summer on a pay and play basis. Should groups become high in numbers I will organise blocks of sessions with a maximum number from September. Now that the building work for the new Club House is complete we need to concentrate on getting the inside looking smart. As you can appreciate it will take many hours to paint the inside, so we have arranged two dates for a working party to help complete this task. Any help will be greatly appreciated, the dates are Saturday 9th and Saturday 16th July. Please just turn up as close to 9.30 am as you can with your own equipment. Paint will be provided! During the day, refreshments will be provided free of charge as well as information about sessions the club runs and an opportunity to join at less than half price. Come and join in the fun anytime between 10 and 1.30 and see the new clubhouse. The club are indebted to ‘Helping Hands’ and Councillor Dave Tyler for their support in this project. As well as the open day, Wall Heath Tennis Club will be hosting 3 ‘Tennis For Kids’ courses which are being funded by the L.T.A. They, like the club, want to inspire the next generation to win the Davis Cup again after the GB team’s fantastic success last year. The courses are free, start in May and last for 6 weeks with a free racket given to all those that take part. Places are filling up fast, so go to ‘www.lta.org.uk/tennisforkids’ and sign up. Those on a waiting list will be given an opportunity to enjoy a free session at the club or enter the ‘Quorn Family Cup’ competition on Saturday 21st May from 2 – 4 p.m for free. Wall Heath Tennis Club invite you and your child (Any child born 1 September 2005 or later (Under 10) playing with an adult family member* born 31 August 1997 or earlier (18+) to take part in a fun competition for all abilities on Saturday 21st May from 2-4pm. The winners of each red ball competition will earn the opportunity of a day out at a Quorn Family Tennis Cup event held on the qualifying weekend of an LTA grass court major event in May or June. Each pair will have the chance to play against other winners on the day as well as watch the professional players in action. There'll be lots of other prizes. Why not give it a go and have some fun playing with specifically designed rackets, nets and balls to give everyone a chance to play and succeed. We'll provide all of the equipment and refreshments. There'll be free coaching sessions offered to all participants as well as discounted membership. * adult family member – parent, carer, guardian, step parent, co-parent, uncle, auntie, sibling or grandparent. The tennis club are extremely grateful for the support we have received from Helping Hands in Wall Heath. 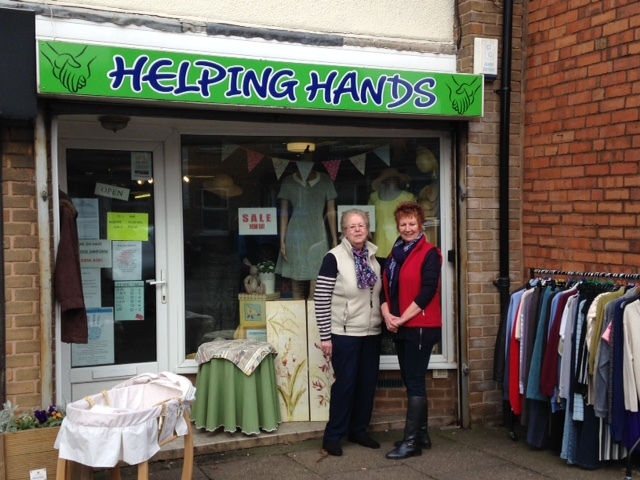 They are a charity shop who plough all profits back into the local community and have played a major role in enabling our new build go ahead. I'm sure they would be delighted to see you if you have any unwanted good quality clothing, they are based in the High Street. Many thanks to the volunteers, Julie, Jill, Pat, Val, Dot, Shawn and not forgetting Bev who first introduced us to the shop. Our tennis players will be able to serve up a treat with a brand new clubhouse at our Enville Road headquarters. Work has started to demolish the existing clubhouse. ​Money to pay for the work has been provided through both Cory Environmental Trust in Britain (CETB) and Ibstock Cory Environmental (ICET) who together have stumped up £65,000. Another £5,000 arrived through Dudley Council's community forum, while the Tennis Club raised a further £3,500 through the efforts of members by staging fundraising events. Club secretary Claire Colling said: "The old clubhouse was little more than a shed with no heating. "We never realised just how bad it was until visiting teams came and had to change in it. We couldn't even sit in the clubhouse afterwards because of health and safety. In fact it was bloody horrible, an eyesore and it must be a relief to the local community that it has gone. The new clubhouse will be brick built and contain a kitchen, toilets, a large community room and changing facilities. It has taken two years to put our application together and it's absolutely wonderful that Corey Environmental have bought into what we are trying to do and we can't thank them enough. We're not a private club, but we do have membership. But anyone can come and play here. We have hundreds of youngsters who turn up, especially on a Saturday morning for coaching sessions and we want more of them to come." 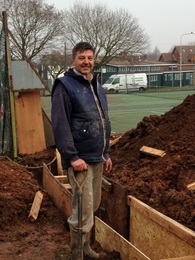 Further fundraising will help resurface the courts in addition to adding new furniture and equipment to our facilities. We also hope the new clubhouse will help attract more non-members and encourage more youngsters to play tennis after setting up links with Crestwood School. Angela Haymonds, trust secretary for both ICET and CEBT, said: "The trustees are thrilled to have been able to offer funding support for the new tennis facilities, which will have both social and health benefits for the whole community." As you will be aware, the building works are well underway and with this in mind, it is very important to note that access to the building is now not possible due to health and safety requirements regarding our public liability insurance and the building works contract insurance of the builder. Please DO NOT seek to enter the building, particularly with regard to trying to access floodlighting. This may be highly dangerous considering that there is now no roof, and electric cables may be exposed. On a more pressing note; Subs are due by MONDAY 29th FEBRUARY Please could you ensure that they are submitted to Christine ASAP. It is absolutely crucial that monies are received on time as we may need to rely on this money to assist with building costs. Following 2 years of applying for grants we are pleased to inform you that on Monday 22nd February 2016 a builder will be starting work to demolish our old pavilion and replace it with a brick built building. The work will take around 12 weeks. In preparation for the new build, we will need to clear the clubhouse, we are proposing that we have a working party on Saturday 13th February at 9.30 am. We need to clear as much as possible of non-essential items and make trips to the local tip to dispose of unwanted items! (Please ensure that you have not left any personal belongings in the club during this time). If anyone does have any available storage space that would be great. Please could you contact Claire Colling, Secretary if you are able to help on this date. The building work will have implications for home matches which will need to be re-arranged at the away venue, I am sure that most clubs will be happy to accommodate us during this time. During School holidays Wall Heath Tennis Club host a range of sporting activities including tennis, football, hockey, athletics and rounders. Sessions are available in a full or half day format and will be led by Adrian Hyde, a qualified P.E. teacher with 25 years of teaching experience in schools and 30 years of coaching experience. Children will be grouped based on age and ability. All they need to bring is suitable clothing, lunch and drinks to stay hydrated. For further details please contact Adrian on 07753 673143 or email him at adrianhyde1@virginmedia.com .